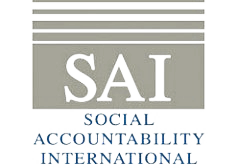 Social Accountability International (SAI) is an award-winning company that provides training, policies, and procedures to help organizations protect the basic human rights of workers around the world. One of the company’s key services is named Social Fingerprint®, a program to help organizations understand and measure their social impact, and then learn how to improve it. The Social Fingerprint® program requires that participants undergo a training program. Traditionally, this training consisted of two to five days of instructor-led, classroom-based instruction per year. This approach created a number of challenges. For one, SAI’s customers are global, making face-to-face instruction difficult. In addition, once individuals completed their training, they would often return to work and would soon forget what they had learned. The result was that it was exceedingly difficult for customers to implement SAI’s recommendations. In the hope of addressing these and other challenges, SAI decided to expand their learning strategy to include self-paced, online learning. Support for this initiative required the acquisition of a learning management system. Brandon Hall Group has just published a case study describing SAI’s move from instructor-led training to a blended approach to learning. You can download a copy of this case study here.